Purchasing the right auto insurance is one of the best things to protect yourself in the event of a car accident, but did you know that in some cases you have to pay to damages out of your own pocket? For example, let’s say you drive a suped-up $85,000 Ford F350. Unfortunately, one day while out and about running errands, another driver runs a red light and hits your truck right behind the passenger side door. 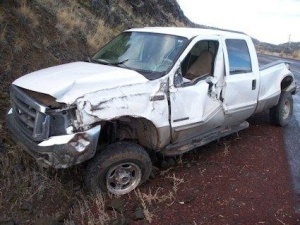 Everyone is thankfully okay, but the damage to your truck will cost about $40,000 to repair. The driver at-fault only has the state minimum insurance policy coverage, which covers up to $20,000 in repairs. Where will the additional $20,000 come from to repair your truck? Without underinsured motorist coverage (UIM), the $20,000 will come out of your pocket. However, with an underinsured/uninsured motorist coverage policy, insurance will pay the difference. With fall right around the corner, everyone in Jackson is preparing for colder weather and all of us at GR Insurance are doing the same. 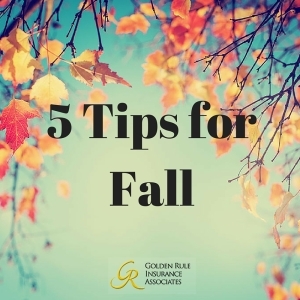 While GR Insurance has plenty of insurance options that offer protection in case you have a fall or winter home emergency, we also have a few tips and tricks to share that can help prevent any home emergencies. In the event that you have a small fire, like a kitchen fire, or if one of your kids accidentally cuts themselves while helping prepare dinner, it’s important that all your smoke detectors have fresh batteries, your fire extinguishers are up to date and your first aid kits are stocked. Need someone in Jackson to come check your smoke detectors and fire extinguishers? Try Accent Security Alarms (http://www.accentsecurityonline.com/). You can also find plenty of items to stock your first aid kit at stores like Walmart and Target. Here is a list of items to have suggested by Red Cross: http://www.redcross.org/prepare/location/home-family/get-kit/anatomy. Inspect your windows for any gaps or spaces that can leak out hot air or let cold air in. Also, if you live in an older home, consider installing new windows. Thicker paned glass means better insulation and make a big difference in lowering your heating bill each month. 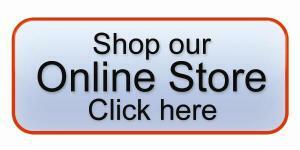 Here are a few window companies in Jackson to check out: Window World (http://www.windowworldcape.com/) or Cape Glass and Tinting (http://capeglassandtinting.com/). Have your roof inspected for any holes or weak areas. Nothing ruins a winter quite like a leaky roof! Here are a few roof companies to check out: Michael Evans Roofing Contractor (573-243-2587), JMAR Construction LLC (http://www.jmarconstructionllc.com/). Test out your heating system to make sure it’s in working order (and to make sure you can enjoy cold winter nights snuggled up on the couch). If your heating system isn’t performing up-to-par, try contacting Ziegler Plumbing & Heating (573-243-1188) or Peters Heating and Air Conditioning, Inc. (http://www.petersheatingandair.biz/). What other fall maintenance tips do you have? Share them in the comment section below! On June 25, 2015, the Supreme Court ruled to uphold the Affordable Care Act in the King v. Burwell Lawsuit. What does this mean? Basically, this ruling means that health insurance subsidies will remain available no matter if health insurance is purchased from the state or federal insurance exchange. If subsidies were ruled to be indeed only available to those who purchased insurance through the state, then roughly 8 million people who purchased their health insurance through the federal exchange would be left without affordable health insurance. This ruling means that affordable health insurance will remain available to entrepreneurs and small business owners. While new stipulations within Obamacare require businesses of a certain stature to provide health insurance for employees or suffer from a fee (which created a pretty significant cost for small businesses) entrepreneurs and startups that typically have low income during the beginning phases of the business get to reap the benefits of affordable health insurance. Without Obamacare and health insurance subsidiaries, entrepreneurs and startups have two other options – opt to have no health insurance at all and hope to stay healthy, or find a job that offers health insurance benefits. As a small business owner, what if I DON’T provide health insurance for my employees? 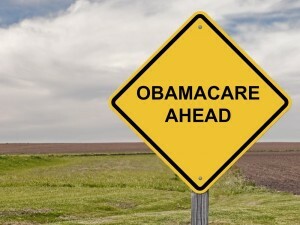 What is your experience with Obamacare as a business owner? How has it impacted the way you run your business? Share in the comment section below! A non profit is an organization that does not pay out its extra earnings to investors or a board of directors but reinvests that money into the business to accomplish its mission. Non profits can include a variety of different groups, from dog rescue organizations to Aquariums, and although each has its own unique mission and purpose all have to operate by certain standards and implement certain best business practices. One of the practices that all non profits will have in common is insurance. Non profit business insurance plans will vary in size and policy types depending on the size of the non profit. 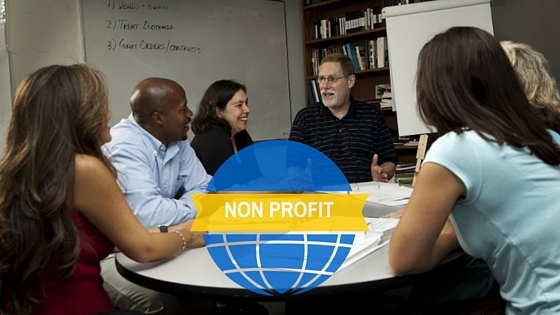 What type of insurance does a non profit need? There are a lot of different types of insurance that non profits should look into, but the 3 most important are commercial business insurance, vehicle insurance and property insurance. These 3 types of coverage can handle most of the non profit’s needs in case there is an incident like an employee that is injured on the job, a car accident in a company or personal vehicle or property theft. Non profit organizations can also look into purchasing directors and officers insurance, which provides coverage for your management team in case they are accused of improper actions. These types of claims can range from sexual harassment charges to discrimination or wrongful termination. Regardless if the claims have merit or not, legal fees can be incredibly high and make a financial impact on any non profit organization. How do I know what type of insurance is best? There are a lot of online resources for non profits from the federal and the state government that cover non profit related topics including fundraising, legal structure and insurance needs. Research multiple sources before deciding what is best for your non profit, and consider speaking with an attorney to help you accurately assess risk. Always get a few quotes from several insurance companies to compare pricing and plan options, as the cheapest plan may not be the best fit for your organization. 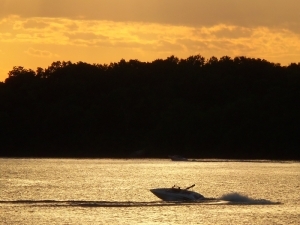 Have you had the chance to get out on the lake this summer? Summer is now on the wane but it’s not too late to get out, relax with a cocktail, catch some sun, cast a line, or get in the water. But before you hit the lake, be sure you have the right kind of coverage for your boat, even for small accidents like running out of fuel. Unfortunately, boat accidents are more common than you’d think. Thankfully, this is where boat-towing insurance comes into play. Boat-towing insurance is an add-on policy to your boat coverage that will cover various scenarios when your boat needs to be transported. Depending on your insurance company, you can typically buy basic coverage, or increase your coverage for greater distances. On-road towing: This covers the costs of towing if you have a problem while trailering your boat on the road. On-road towing is sometimes covered in a standard auto insurance policy, but be sure to check the fine print of your policy to double-check. If your auto insurance doesn’t cover boat-towing and you’re involved in an accident, you could face some major costs to have another company move your vessel. On-water towing: This covers the costs of towing if you have a problem on the water and need your boat towed in to shore. On-water towing will cover the hauling of your boat to a service area if it is stuck, runs out of gas or is in an accident. While you may be an experienced boater with a perfect track record, there are many other boaters on the water and on the road who aren’t as safe. You can’t predict the actions of other people, nor predict a mechanical failure on your boat that could leave you stranded in a busy waterway. The only real solution to prepare yourself for this potential scenario is to make sure you are protected with the right boat-towing insurance. The right insurance gives you a plan, saves you time, money, and peace of mind allowing you to fully embrace your time spent on the water. As a homeowner or renter, there is no better feeling than throwing your first backyard get together! Complete with BBQ’d food, drinks, chips and dip and plenty of seats to bask in the sun or the shade, backyard parties make summer complete. 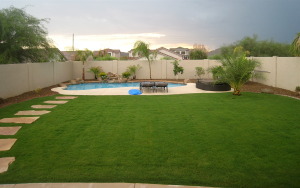 Do you plan to throw a party in your backyard before the summer ends? If so – there are a few things to keep in mind to make sure your guests (and you) have the best time possible. Other than having plenty of food (which can be solved by having a potluck style party) and plenty of drinks (BYOB), here are a few simple safety tips to check out so the focus of the party remains on relaxing and never shifts to a trip to the ER or a crying child. Don’t allow any unsupervised swimming in your pool. Always make sure there are at least two people swimming at a time and NEVER let kids swim without adult supervision. According to the National Fire Protection Association, gas and charcoal grills have been involved in an average of 8,800 home and outside fires each year. Don’t join this statistic! Be sure to keep the grill clean, never place it close to anything combustible, and never leave the grill unattended. Trampolines are every kids dream come true! But, did you know according to the U.S. Consumer Product Safety Commission, they cause nearly 100,000 injuries each year. Be sure to limit the number of jumpers at a time, never leave children unsupervised and make sure the trampoline is anchored properly to the ground. Playsets are fun for kids of all ages, but can be very dangerous if they aren’t kept up to code. Regularly check for sturdiness, rusty bolts and wood rot and make any necessary repairs. Warm nights are the perfect time to roast marshmallows over a fire pit, but out-of-control fires can cause injury. Always make sure the fire pit is in a safe spot away from your home, deck or trees with low hanging branches. Use sand to fully extinguish the fire and let the coals cool completely before disposing of them in a metal container. Make this summer one to be remembered for good times, not accidents. We’re not just here to be your source of insurance. We want to give you the information to help you take the necessary precaution so you can avoid even having to call us. Taking simple safety precautions when playing or partying in your backyard is necessary in order to have a safe, good time. Once you’ve deemed the area safe, pop a top, sit back and enjoy your summer. Cheers! Putting on a summer camp this year? Great! Congratulations, you are going to give great memories to a lot of excited kids and teens – after all, doesn’t everyone have the best stories from “that one time” at summer camp? Before kicking off camp, there are a lot of things that need to be done – hiring counselors, planning daytime activities, purchasing food and snacks, and finding the right insurance. Just like choosing what types of food to purchase, there are a lot of insurance policies out there and it takes a bit of research to find the insurance coverage that make the most sense for your summer camp. General liability policy: This policy will provide coverage for any bodily injury that happens to someone that is injured on the camp premises. Without it, the camp will be held liable for any medical costs or pain and suffering charges. Property liability: This policy covers any property damage caused to a 3rd party by you, your camp employees or your camp operations. This coverage will pay the medical expenses of those injured on your property. Sometimes, these policies will exclude campers, so be sure to check with your insurance agent as to what is or isn’t included. 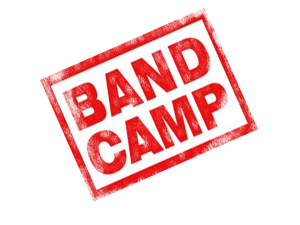 Business owners insurance policy: This is the best asset to a camp, it’s coverage includes replacing your income if camp operations are interrupted for a covered loss and includes paying wages to employees in addition to other operating expenses. This policy will also cover cars, buses or other camp vehicles that are used for business purposes, plus workers compensation which provides coverage for your employees if they are injured, become ill or die because of a work related activities. Before purchasing any insurance plans for your camp, be sure to talk to your agent to help you figure out what you need and if there are any holes in your insurance coverage that need to be filled with additional policies. Running a camp is fun, rewarding and takes a lot of work – don’t skimp on insurance and risk ruining all the hours of effort from you and your camp team. 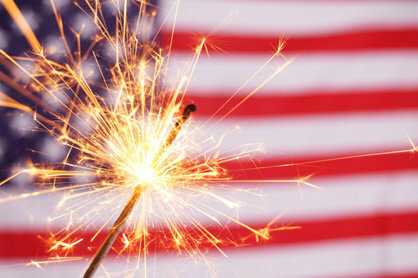 Did you know, the very first celebration of Independence Day was in 1777? That was years before Americans even knew they would survive the war. Fireworks came into the picture to give people a glimpse of hope, to give them a little light in a dark time and encourage them to stay faithful that they would one day would be their own nation. It seemed to only make sense in 1789 to celebrate George Washington’s inauguration with a beautiful and bright fireworks display. The Americans had succeeded! Since then, fireworks have been used to celebrate holidays and large events all over the country. The techniques and products used to create and shoot-off fireworks have changed drastically over the years – today it’s possible to have a show that lights up the sky in the privacy of your own backyard – but the one thing that has remained the same about fireworks over the past hundreds of years is the fact that they can be very unsafe. According to the Consumer Product Safety commission, in the weeks around the Fourth of July an average of 200 people A DAY go to the emergency room with firework related injuries. Don’t be part of the average this year! Take note of these few safety tips and have a fun and injury free Fourth of July celebration! NEVER allow young children to handle or use fireworks. Even teenagers should be closely supervised. Fireworks belong outside, never light them off indoors. If fireworks aren’t legal where you live… don’t use them! Leave lighting up the sky to the professionals and enjoy the show at a park or from the comfort of your backyard. Fireworks are an American tradition. The beautiful displays in the sky remind us to celebrate our victories and looks forward to the future. Celebrate America safely this year and follow these simple safety tips. Do you have any Fourth of July tips or fireworks stories? Share in the comment section below!